Der Artikel Jakob Bro (geb. 1978): Bay Of Rainbows wurde in den Warenkorb gelegt. 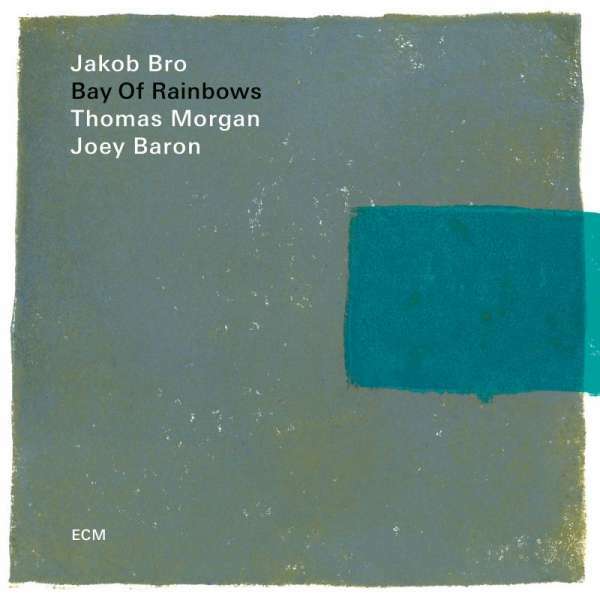 »There is no hurry to this music, but there is great depth«, observed London Jazz News about Danish guitarist Jakob Bro’s trio with two kindred-spirit Americans: bassist Thomas Morgan and drummer Joey Baron. This poetically attuned group follows its ECM studio album of 2016, Streams – which The New York Times lauded as »ravishing« – with what Bro calls »a dream come true«, an album recorded live in New York City, over two nights at the Jazz Standard. Bay of Rainbows rolls on waves of contemplative emotion as the three musicians explore five pieces from the guitarist’s catalog, with the gorgeous »Copenhagen« a favorite reprised from Gefion, Bro’s 2015 ECM release. Others – »Evening Song«, »Red Hook« and the volatile »Dug« – are recast intimately and elastically for trio after having been initially documented by larger ensembles. 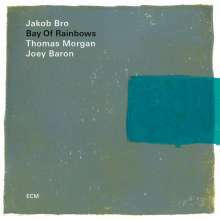 Bookending Bay of Rainbows are two versions of the richly melodic »Mild«, the abstracted second rendering illustrative of Bro and company’s ability to push and pull the music into mesmerizing new shapes, onstage and in the moment.